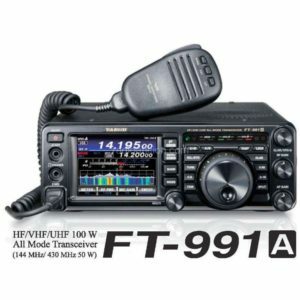 With the FT-70DE Yaesu continues it’s successful ‘System Fusion’ strategy for digital communications on VHF/UHF. 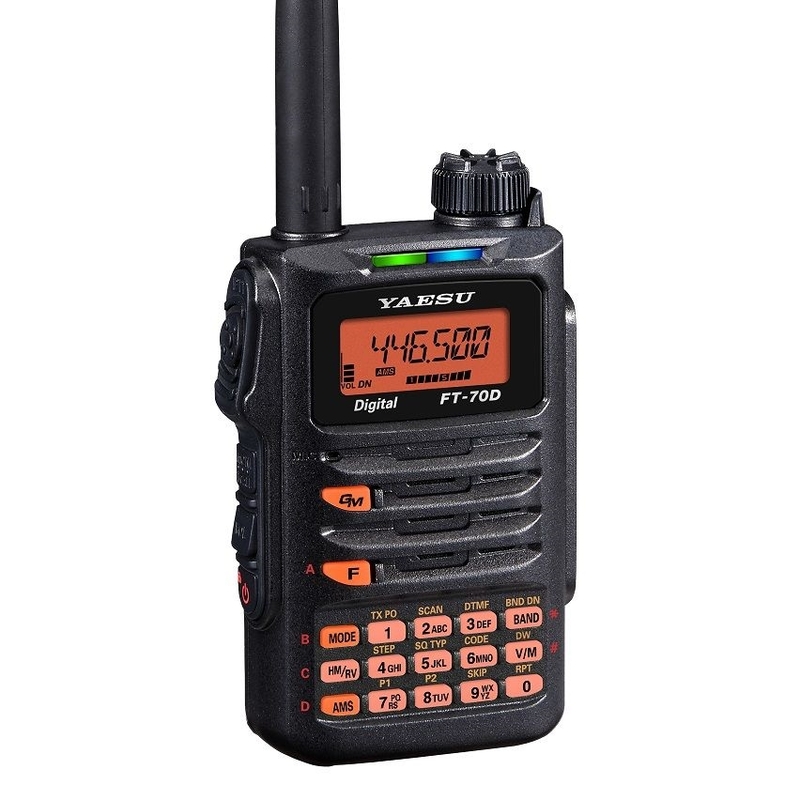 The handheld transceiver FT-70DE supports bith traditional FM and digital C4FM modes. Of course the well known ‘AMS’ automatic modes switching for these modes is supported, as well as digital group monitor and digital group/person identification functions. This monitors the connectivity within a group of radio users while in the field. 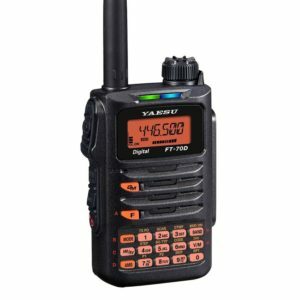 The handheld two-way radio works on VHF (2m) and on UHF (70cm), the tranmsmit power is 5W on both bands. The construction of the FT-70DE is very rbust and solid, it conforms to IP54 specifications. The front side loudspeaker offers up to 700 mW of audio power, which makes it suitable even for very loud environments. Large , coloured LEDs show the current operating state at a glance. And with up to 1105 memories the FT-70 can organize all your memories in easy to reach groups. The receiver covers a range from 108 to 579.9 MHz and offers various scan functions.